Thank you for the link. The pamphlet makes claims about Shingon that really don't make sense to me but the information on Tendai is helpful. If you have the time or interest, it may be helpful to de-bug that brochure. Are there any particular points that are especially inaccurate? Unclear here if the author is referring to Shingon, the school, or Shingon as the transliteration of Mantra. Either way, as is stated this is what Tendai says about Shingon. If I understand correctly, Shingon does not posit Zhiyi’s “Third Truth” so of course they wouldn’t say this about their own tradition. Pg. 23 (28 of PDF) wrote: The translator of this sutra [VKN], Robert Thurman comments that wisdom (prajna) is the bell and liberative technique (upaya) is the vajra. Union of both upaya and prajna is the great liberation moksa. I don’t know why the Tendai pamphlet is referencing a Tibetan scholar (maybe simply trying to find English-language source material?) and then talking about Shingon here. I’ve never heard this before but am, unfortunately,no expert. It seems to be a rather unusual claim given the importance of the Sutras behind the two Mandala and their role in Shingon-shu. As it’s only this one sentence it is hard to fully decipher the author’s meaning. Has anyone else heard Tendai priests characterize Shingon in this way? Frankly, this paragraph is contrary to everything I’ve read or heard on Shingon-shu. I remember another thread about this some years back so won’t repeat things here other than to say of course Shingon doesn’t rank the Sutra as higher than other Sutra. All the Buddha’s words are of equal value and worth. Medicine is Medicine, right? Kukai comments on the capacity of the listeners, that’s all. An antibiotic will save millions from Cholera but it will do nothing to end Polio, that requires another kind of medicine. Does this mean the antibiotic is inferior to the vaccine?? The claim that one Vairocana and Sakyamuni are distinct from and Vairocana better than another is really strange and I have never read anything of the sort in any Shingon work or sutra. Perhaps it is worthwhile mentioning that even the title of this section is a bit unusual from my understanding of Shingon “Sutra and Tantra” with “Tantra” acting as a synonym for esoteric. Yes, tantra are esoteric but so are many sutra if the listener has deep understanding and insight into the words of the Buddha. Not sure any of that is helpful. Like I said, I appreciate the pamphlet for how succinctly it presents some Tendai teachings. I just don’t recommend giving much weight to the things said about Shingon. Here is my own take; The author, here, is saying that Taimitsu practice and philosophy is no different to Zhiyi's practice and philosophy of the 'Middle Truth' as taught in his text Maka Shikan (even though Zhiyi himself didn't teach about mikkyo, mostly because it hadn't really taken hold in China at that time). Therefore, in Tendai, one may practice mikkyo and know they are also practicing Endon Shikan. (Again my own take on this). The claims vis-à-vis Shingon; I don't know. I know next to nothing about shingon. The author, here, is referencing an English translation of the Vimalakirti Sutra, which was translated by Robert Thurman. This part may have been included because it is a good translation of this sutra, or because Mr Thurman is a good friend of the author (or both) or maybe another reason. I am unclear why referencing Mr Thurman is a problem. I'd quote Dawn French if it helped. Again, I don't know about the comments re: Shingon. Is it wrong to say Shingon is the unification of Garbha and Vajradhatu? An explanation of the title is given within the text itself "Sutras are the texts of discourses by the Buddha Shakyamuni and Tantra are the rituals on how to idealize the ceremony woven together with sutras expounded by Buddha" (page 25). And as the article is called "Integration of Sutra and Tantra on Mt Hiei" I'd suggest this title isn't in reference to Shingon Shu. I'd also suggest that this title has come about through the two avenues of training that a Tendai priest goes through, the first being exoteric (shikango 止観業) and the second being esoteric (shanago 遮那業). Or to put it another way, 'Sutra' and 'Tantra'. In Tendai this has been "unified" in to one school system that is based on the philosophy of the Lotus Sutra. Shingon may also call their system a unification of these two streams but I wouldn't know. For Shingon Shu these two definitions may seem wrong or the very idea of two systems might even seem bizarre... again I really don't know. I just don’t recommend giving much weight to the things said about Shingon. Thanks for the helpful input, it's much appreciated and valued. I think DGA raised an important point, that many Tendai practices are for monastics only. I imagine laypeople’s Tendai in Japan isn’t too different from the practices in other schools. A normal (dedicated) member’s practice would involve gongyo (chanting), maybe joining a choir to sing hymns, occasionally copying the Heart Sutra, joining temple festivals and family-related rituals, and maybe - if they are really serious - zazen once in a while. Goma and other esoteric practices are joined by sitting in the rear part of the temple and maybe reciting the Heart Sutra, a part of the Lotus Sutra, or a mantra. A serious lay practitioner may also do a pilgrimage (e.g. to Hieizan or to the 33 Kannon temples in Saigoku). So far, I didn’t read about (and didn’t see) other practices being relevant for laypeople in Tendai. Chanting in Tendai involves the nenbutsu and the Lotus Sutra and I would say, that this practice could be considered to be most relevant with regards to Buddhist soteriology (= release from suffering), since both practices are believed to lead to a rebirth in the Pure Land. All other practices (e.g. zazen), which are only done occasionally, have to be mastered to be truly efffective. Is it the case that lay Tendai practitioners are more likely at best to achieve rebirth in the Pure Land, but only monastics have the tools for liberation in this life? I think that depends on the practitioner. I also think that if you ask ten people this question, you will get twelve different answers. If we look at Buddhism as a whole, we can easily say that only those who are dedicated to practice will attain... well, anything. One needs to put in the time and effort. This applies whether one is ordained or lay. Just being ordained and knowing more practices than a lay person doesn't mean that person will more likely attain enlightenment, especially if they are lax in their practice. What is available for a lay person in Tendai, I believe, is more than enough for a lay person to attain enlightenment. This includes most of the practices (if not, all) that are found in the Makashikan text. But you need to put in the time and effort. I generally agree that it is about determination and not necessarily about ordination. However, there are two things to consider. First, monastics often have more time available for practice compared to many lay followers. Of course there are lay practitioners who are really dedicated to practice and spend hours every day to develop their practice, but I would say, that this is not the case for normal laypeople. Also, monastics have a teacher to learn from, lots of material available, and ideally an atmosphere in the temple or monastery which is supporting practice. And second, what does Tendai (historic Tendai and modern Tendai in Japan) offer as forms practice for lay followers? Please correct me, if I’m wrong, but the practices described in the Makashikan were not intended for lay practitioners, right? Most, if not all, classic Tendai texts were written for the monastic community. I think Setsuwa and Ojoden texts are better sources to find out about lay practices in medieval Tendai. And they mostly talk about recitation (of a text, mantra, refuge, nenbutsu). I can’t remember a case in a Setsuwa or Ojoden text where meditation is done by a layperson. And we can still see that in current Tendai in Japan. I might be wrong, but I guess there are very few Japanese laypeople in Tendai doing practices from the Makashikan. First, I think we need to understand that in Tendai, ordination doesn't equate to monasticism. In fact, since being ordained I seem to have less time to practice than as a lay person. Whilst my experience may not be true for all Tendai priests I'd place money on the majority having lifestyles not that much different to a lay person (which leads to other questions about ordination in Tendai, but I'll leave that for another thread), and if you are running a sangha.... kiss goodbye to free time. As I said earlier (or possibly another thread), having a teacher in Tendai, even in Japan, can be difficult if one doesn't have family ties to a temple/priest. This means that westerners living in Japan have it far far harder to get a teacher. This isn't unique to Tendai but I feel it is a major problem. As for lay Tendai in Japan - I couldn't say. I've heard from many others that very few priests teach meditation to lay people. And this is a crying shame in my opinion. I don't know the reasons and so I'm not going to speculate, however I do know that there are some that do teach meditation to lay people. Secondly, as for the makashikan text; yes it was lectured to monks. However I'd say this was true for 90% of Buddhist meditation literature (not just Tendai). But, that doesn't mean that a lay person can't use this literature to further their own practice. You are right, though, that a teacher is required for these meditations, and this is probably the marked difference between east and west. Meditation, on the whole, is very popular in the west and lay people take part in this in big numbers. From what I've heard, throughout the East meditation on the whole is seen as an monastic practice. And this mentality in the East (not just in Tendai btw) seems to carry to this day, and so you will find it difficult to find a meditation teacher in Tendai in Japan. I can tell you though, it is a different story in the West. As a lay person I did numerous meditations with our teacher, as well as with other Tendai priests on retreat etc. And I try my best to bring as many practices for the lay sangha here as much as I can (and am allowed). Does China's Tiantai today have the esoteric tradition like Japan's Tendai? No. 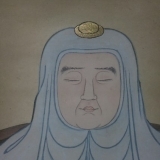 The esoteric aspects were added by Saicho and then further by the likes of Ennin and others in Japan. I don't know what Tiantai is actually like in China these days, as I've heard mixed reports. Some tell me its no different to any other Chinese temple, thanks to the Chinese communist revolution, whilst others say there is a marked difference between Tiantai and other schools in China. Not entirely. It depends where we draw the line between esoteric and otherwise. The Tiantai tradition did absorb esoteric practices in China over the centuries which are esoteric. A good example of this would be the Hungry Ghost Rites(施餓鬼供養) which developed in the Song period. It is true that these are not of the mature or pure esoterica, but there is esoteric practices in Tiantai. They are not central to Tiantai however. In early Tiantai too, there were various dharani rites as well. No worries I'm probably just being pedantic. Do you know nay articles/sources that talk about esoteric practices in China? I remember reading some Ming Dynasty Chan masters talking about using mnatras to invoke the assistance of Buddhas and Bodhisattvas to help breaking through great doubt which was pretty fascinating. I know of plenty in Chinese and Japanese. If you're looking for English resources, there are articles on Tiantai Preta rituals and esoteric influences in Brill's "Esoteric Buddhism and the Tantras in East Asia". But the price is steep if you are only interested in one or two of the papers.